At the Healthy Hub, we’re passionate about helping our local community achieve and maintain wellness. We have selected a team of Chefs and Health professionals to bring you a Hub for all things HEALTH. On the ground floor of our stunningly refurbished building, we have an Organic and Gluten Free Café, delivering food which not only tastes sensational but also feeds your body and mind to support wellness. On level 1, we have an allied health Wellness Centre comprising a range of complimentary therapists dedicated to you and your health goals. Our centre also includes a yoga and meditation studio, a space you can recharge, stretch and breathe. 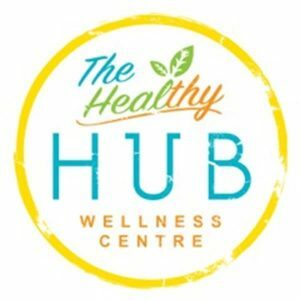 The Healthy Hub team looks forward to meeting you, serving you beautiful healthy food and beverages, and treating you to a host of therapies for some much-needed self-care. As part of Plate Up Ballarat 2019, The Healthy Hub will again be serving up something special… We will be updating you with more news on this in the coming months. In 2018 we had The Laneway Long Lunch and it was a huge success, with everyone leaving feeling nourished and content. Have a look at the video on our site to see what went down. The Healthy Hub team are passionate about helping others achieve and maintain wellness. We plan to have another event that showcases our local organic produce with salads, Hub Nourish bowls and other delicious goodies. Spaces will be limited, so don’t forget to book your spot when tickets go on sale in March 2019. Running alongside the Plate Up Ballarat festival’s month of food celebrations, we will also have a special menu item for you to try in May featuring local, seasonal produce that will have you feeling warm in the cooler weather. The Pathway to Wellness Clinic and The Healthy Hub Cafe and Wellness Centre brings you the Find Your Way Health Series! Our Director and Naturopath Stacey-Lea Gibson has teamed together with a dynamic group of health professionals to create practical and informative programmes to help you Find Your Way to better health. – Take Control of your Stress, Anxiety, Depression & Everything In-between! View our EVENTS page for more information and to book! Let us help you find your “right fit” to get you back to your BEST health! We serve only the very best Organic and local produce; all recipes are developed with a nutritional focus to ensure we nourish your body whilst treating your taste buds. Our Organic produce is available for you to take home to create your own wholesome meals. The Hub team have handpicked our favourite items to make your journey to wellness a little bit easier. A variety of allied health modalities are on offer including Naturopathy, Remedial Therapy, Kinesiology, Gestalt Psychotherapy and EFT Therapy. The Hub practitioners are committed to providing a collaborative approach to Wellness. Our Workshop and Function Room is located on level 1 of our stunning 1870’s refurbished building. This room boasts 4.2-meter ceiling’s, original ceiling rose, polished floor boards, open fireplace, and north facing views of Ballarat. Open to all types of functions including workshops and business meetings. Please contact The Hub for more information. Our experienced instructors are passionate about an individualised approach to health care, our class sizes are smaller affording a more personal practice. Come enjoy our daily Yoga and Meditation Classes at The Healthy Hub Wellness Centre. Coming Soon! Are you a local artist looking to display your art work? We’d love to showcase your passion on the walls of our beautiful centre. Please contact The Hub for more information. Allow us to help you begin – or continue – your journey to wellness.